Florida’s Lien Law provides an owner, in particular, an infrequently used tool to take advantage of before making a progress payment to a contractor. Previously, I talked about a contractor’s requirement to furnish the owner with a final payment affidavit before foreclosing on its construction lien. But, an owner can request for a contractor to serve a progress payment affidavit before making a progress payment to a contractor. The owner, however, seldom requests this progress payment affidavit before making a progress payment. 1. 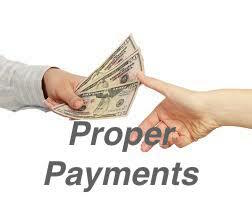 The owner shall pay or cause to be paid, within the limitations imposed by subparagraph 2., the sum then due to each lienor giving notice prior to the time of the payment. The owner may require, and, in such event, the contractor shall furnish as a prerequisite to requiring payment to himself or herself, an affidavit as prescribed in subparagraph (d)1., on any payment made, or to be made, on a direct contract, but the furnishing of the affidavit shall not relieve the owner of his or her responsibility to pay or cause to be paid all lienors giving notice. The owner shall be under no obligation to any lienor, except laborers, from whom he or she has not received a notice to owner at the time of making a payment. 2. When the payment due is insufficient to pay all bills of lienors giving notice, the owner shall prorate the amount then due under the direct contract among the lienors giving notice pro rata in the manner prescribed in subsection (4). Lienors receiving money shall execute partial releases, as provided in s. 713.20(2), to the extent of the payment received. 3. If any affidavit permitted hereunder recites any outstanding bills for labor, services, or materials, the owner may pay the bills in full direct to the person or firm to which they are due if the balance due on the direct contract at the time the affidavit is given is sufficient to pay the bills and shall deduct the amounts so paid from the balance of payment due the contractor. This subparagraph shall not create any obligation of the owner to pay any person who is not a lienor giving notice. 4. No person furnishing labor or material, or both, who is required to serve a notice under paragraph (2)(a) and who did not serve the notice and whose time for service has expired shall be entitled to be paid by the owner because he or she is listed in an affidavit furnished by the contractor under subparagraph (c)1. One reason an owner should want to comply with these provisions in Florida’s Lien Law and request a progress payment affidavit is to safeguard what is known as the proper payments defense. Under the proper payments defense, an owner will not be liable for construction liens that exceed the owner’s contract price with its contractor. See Continental Concrete, Inc. v. Lakes at La Paz III Ltd. Partnership, 758 So.2d 1214 (Fla. 4th DCA 2014) (“The [proper] payment defense provides that where an owner fulfills all the duties the Mechanics’ Lien Law places upon him, his liability for all mechanics’ lien claims cannot exceed the contract price.”) (internal citation omitted). But, for the proper payments defense to apply, an owner is required to comply with the requirements of Florida’s Lien Law. 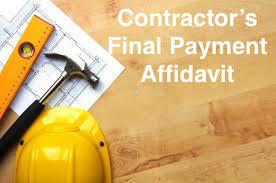 An owner makes proper payments by obtaining progress payment affidavits in consideration of each progress payment made to the contractor (and a final payment affidavit in consideration of the final payment) and by getting progress / partial lien wavers and releases from the contractor and subcontractors and suppliers that preserved their lien rights (and a final lien waiver / release in consideration of final payment). 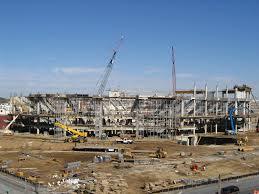 INCLUDE PROPER (LIENABLE) AMOUNTS IN YOUR CONSTRUCTION LIEN! Contractors, subcontractors, and suppliers need to appreciate what amounts to actually include in a construction lien before preparing and recording that lien. Stated differently, contractors, subcontractors, and suppliers need to appreciate what items are lienable and what items are not. In a nutshell, the item needs to relate to a labor, service, or material constituting an improvement to the real property—the item needs to bestow a permanent benefit on the real property and should be performed under another’s (e.g., general contractor) direct contract with the owner. Not every item constitutes an improvement / bestows a permanent benefit to real property. Extras (change order work) not performed in good faith, pursuant to the terms of a contract, within a reasonable time, and were unnecessary to finish a job. For example, in Palm Beach Mall, Inc. v. Southeast Millwork, Inc., 593 So.2d 1121 (Fla. 4th DCA 1992), a contractor constructed a kiosk in a mall and recorded a lien for unpaid amounts. 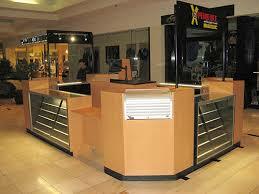 The kiosk was not a permanent improvement to the mall, but was removable at the termination of the tenant’s lease. The Court held that the contractor could not lien for constructing the kiosk. As another example, in Levin v. Palm Coast Builders and Const. Inc., 840 So.2d 316 (Fla. 4th DCA 2003), a contractor recorded a lien that included costs for lawn maintenance, pool upkeep, utility charges, and association maintenance fees. Not only did the Court hold that these items were not lienable, but affirmed that the lien was fraudulent! And, as the last example, in Sam Rodgers Properties, Inc. v. Chmura, 61 So.3d 432 (Fla. 2d DCA 2011), discussed in detail in a previous posting, a contractor was building a custom home when a payment dispute arose. The owner stopped making payments and the contractor ceased construction and recorded a lien. Subsequently, the contractor performed additional work to protect the unfinished structure from the elements and amended its lien to include these amounts as well as property taxes and insurance the contractor paid on the property. Regarding the additional work to protect the unfinished structure, the Court held that these amounts were lienable: “All of these items were contemplated by the contract, and all of them were completed in a good faith effort to secure the property and mitigate damages so that a bad situation did not become worse.” Chmura, 61 So.3d at 439. But, as it related to the property taxes and insurance, the Court held these items were not lienable as they pertained to the maintenance of the property as opposed to improvement of the property. By including inappropriate amounts in a lien, a lienor runs the risk of having its lien declared fraudulent under Florida’s Lien Law that would not only render the lien invalid, but expose the lienor to liability. Do not let this happen to you!